Tinytouchtales first announced Miracle Merchant way back in September of last year. It was originally an early prototype of what became the excellent Card Thief ($2.99), but even after Card Thief went in a different direction Tinytouchtales wanted to finish of the prototype into a smaller-scope full game. He teamed up with Thomas Wellman for the artwork and thus Miracle Merchant was born. Then last month the developers put a call out for beta testers for Miracle Merchant, which meant that the game was getting very close to completion. Yesterday, Tinytouchtales posted to our forums that Miracle Merchant is in fact finished and shipped off to Apple for approval, and should be releasing very soon. As we described Miracle Merchant when it was looking for beta testers, “In keeping with Tinytouchtales’ mastery of card-based experiences (the enjoyable turn-based strategy release ENYO (Free)] aside), Miracle Merchant deals your character a variety of colorful, hand-illustrated cards that must be combined to create various eccentric potions. Rather than having to slay a nefarious beast, Miracle Merchant tasks you with fulfilling the orders of customers, and will test your card management skills to the limit with ingredients that change between games." 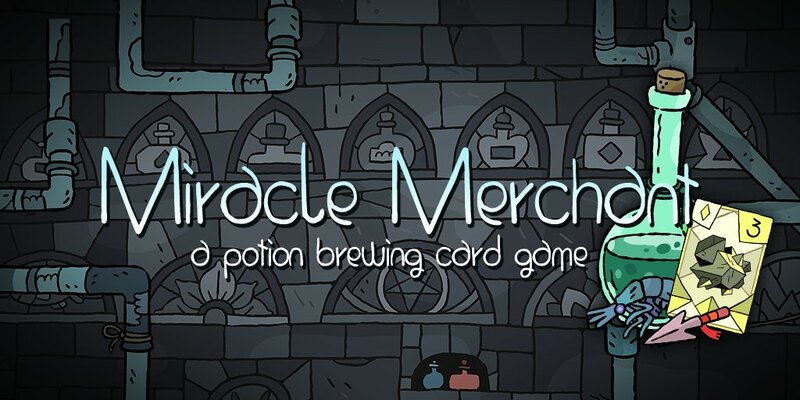 It sounds awesome and given the previous card game releases from Tinytouchtales there’s every reason to be excited for the release of Miracle Merchant. When a more specific release date gets locked down we’ll let you know, but in the meantime check out the forum thread for more on the game.